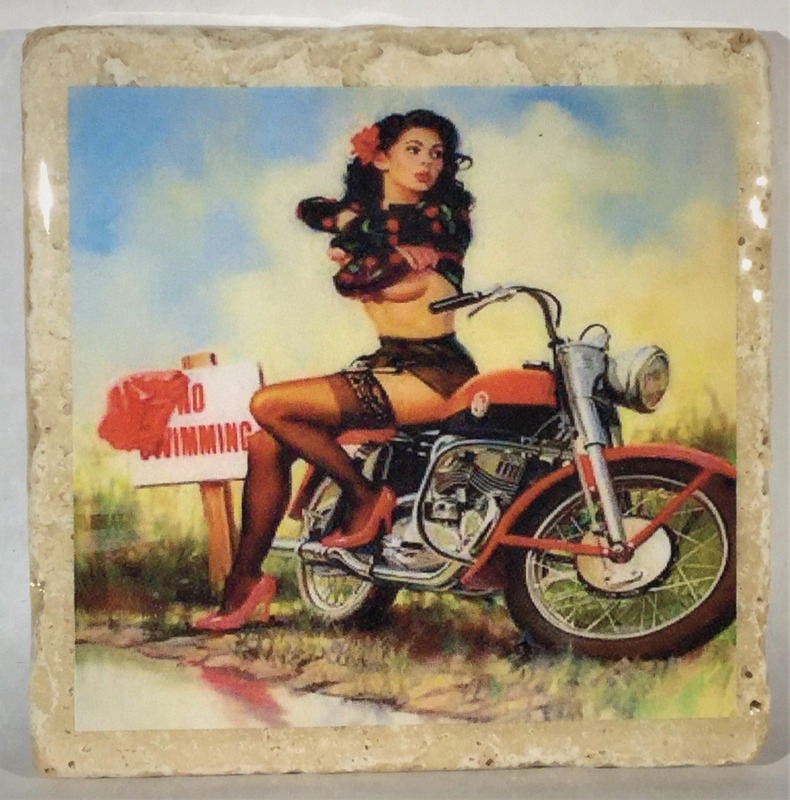 New in our line up, is a set of 4 Motorcycle PinUp Coasters. 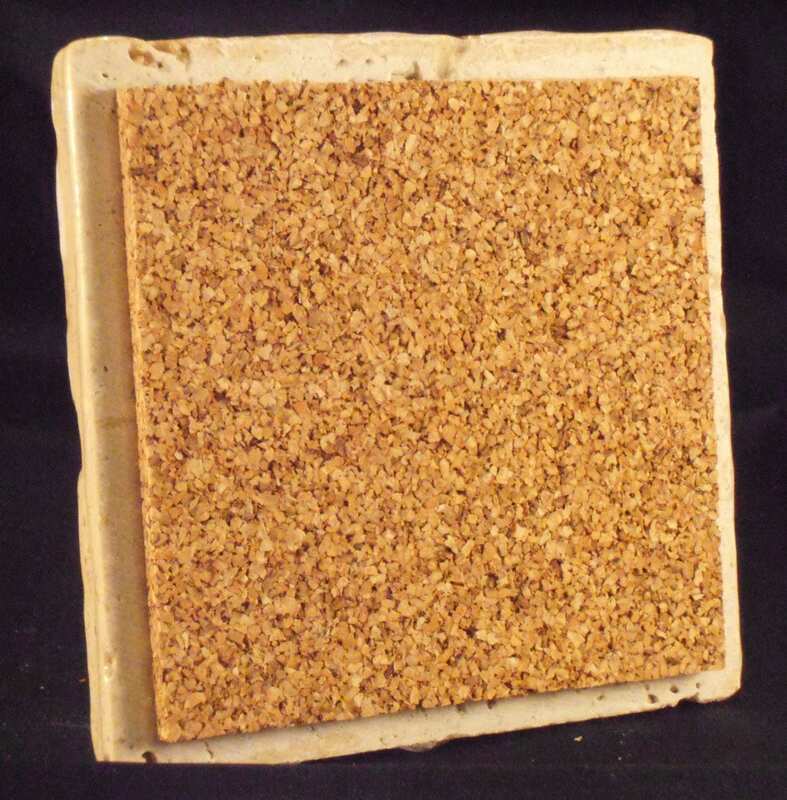 The set is made of travertine tiles, with a UV resistant resin, and a thick cork backing. 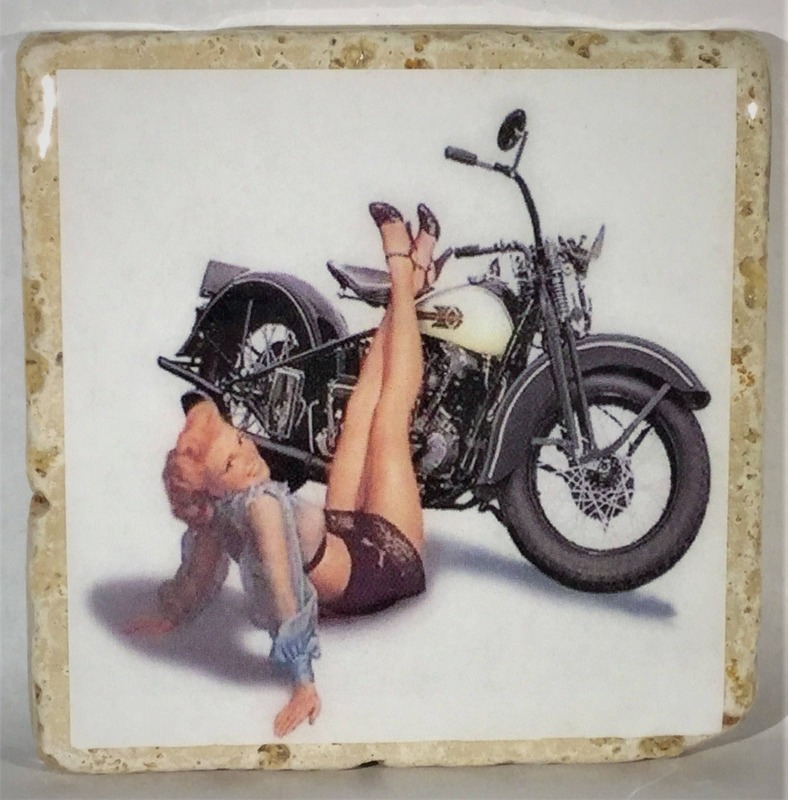 Each tile is Unique in it's own way and not one are alike. 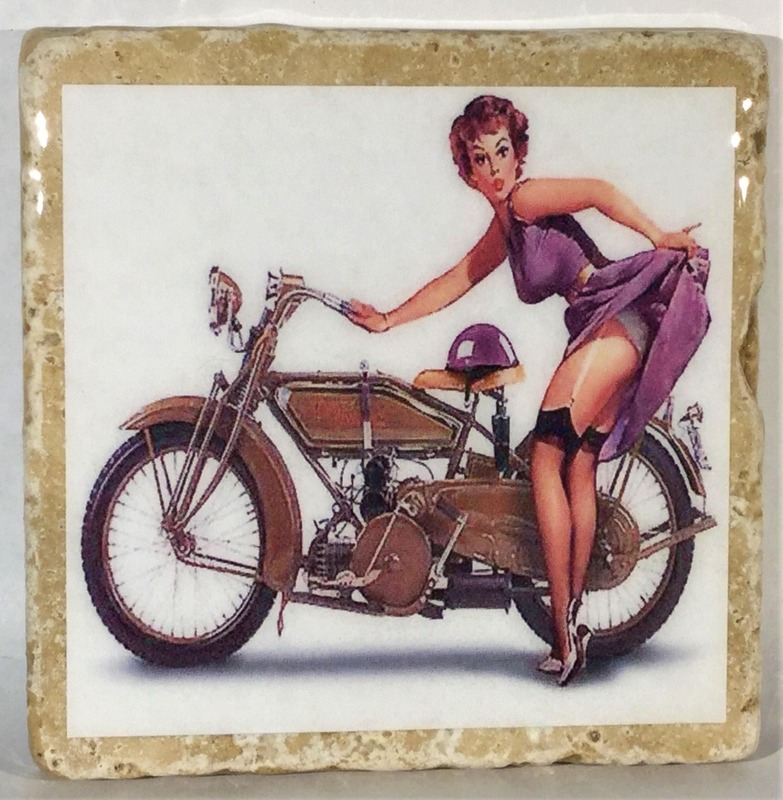 They look fantastic on coffee tables and adds a new conversational piece to every home. 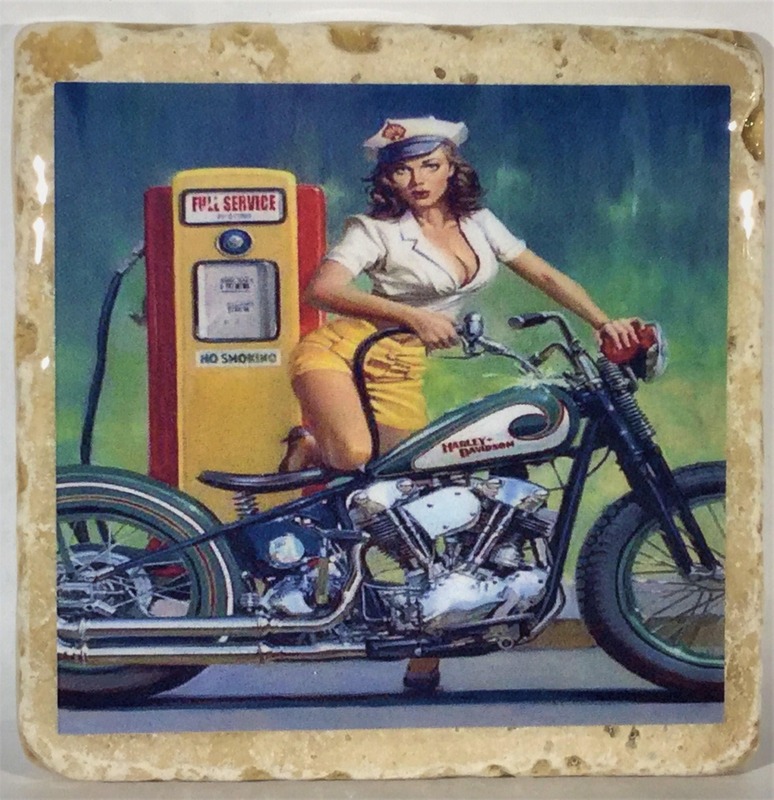 Every order of coasters are made by hand and are also made to order.